It can be easy to take for granted the proper functioning of a vehicle and its parts and it is shocking when they fail us and cause a serious accident. While we should be able to trust in the safety of our vehicles and accessories such as tires, it is an unfortunate fact that this is not always the case. Tire defects are especially dangerous as the errors they cause will affect the behavior of the entire vehicle. If you or a loved one has been injured or in an accident and you believe defective tires played a part, contact a lawyer. An experienced in such cases can review the factors involved and help to determine your legal options. It can be easy to take for granted the proper functioning of a vehicle and its parts and it is shocking when they fail us and cause a serious accident. While we should be able to trust in the safety of our vehicles and accessories such as tires, it is an unfortunate fact that this is not always the case. Tire defects are especially dangerous as the errors they cause will affect the behavior of the entire vehicle. If you or a loved one has been injured or killed in an accident and you believe defective tires played a part, contact a lawyer. A personal injury lawyer experienced in such cases can review the factors involved and help to determine your legal options. At Van Sant Law, our vast knowledge and experience allow us to approach your case energetically and with great conviction. We will investigate to discover the exact tire issue that contributed to the accident and from that determine the appropriate party to sue for compensation. Aged tires: Tires which are otherwise unworn or undamaged still have a limited life due to the rubber with which they’re made chemically altering as time passes. 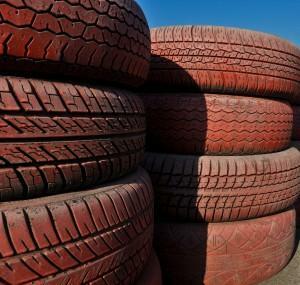 A tire which has spent too long in the warehouse or store before then being sold as a new tire can cause an accident and render the retailer liable. Tire tread separation: This can cause a sudden tire blowout or vehicle rollover, the latter especially in vehicles with a high center of gravity. Tread separation is usually caused by poor quality manufacturing, thus leaving the manufacturer liable for accidents which result. Mismatched tires: This can cause poor vehicle handling and hydroplaning. A mechanic or seller of a car in such a state may be liable in this circumstance. Don’t let the insurance company take advantage of you. Discuss your options with an Alpharetta personal injury attorney at the firm to find out what can be done to recover the lost value on your vehicle today in both first party and third party claims. Contact us today!